A great source for good quality, well maintained used scuba equipment. At Diver’s World we pride ourselves in training our scuba divers with current equipment and standards. You wont find twenty-plus year old BCDs or poor quality regulators in our Rental Locker. In fact, we only use the equipment that we would dive ourselves. 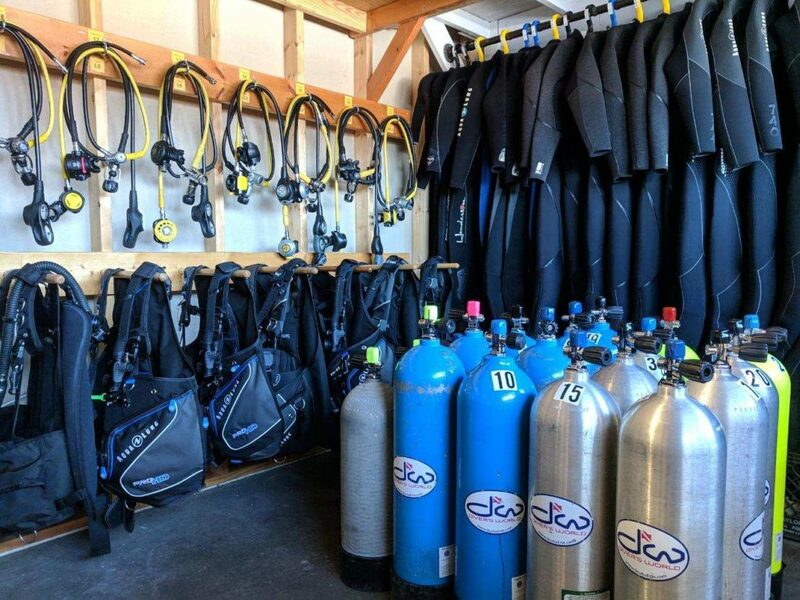 Many manufacturers make “rental” level equipment to help dive centers save a few bucks: You won’t find any of it in our store. In order to keep our rental locker full of the latest gear, we have to turn over our equipment regularly. This can get you great savings on good quality, current model, well maintained scuba equipment. All regulators get a complete factory overhaul upon purchase. Further, when you buy used equipment from Diver’s World you are also automatically entered into our Tribal Rewards service warranty program. Our Aqualung and Apeks regulators include Primary, Octopus, instruments and inflator hose All weight-integrated Aqualung BCDs are wrap-around jacket style from XS to 2XL 5mm and 7mm jumpsuits from XS to 5XL great for local diving We have a huge selection of 63 cu ft and 80 cu ft aluminum cylinders with K-Valves.